Looking for the perfect gift? 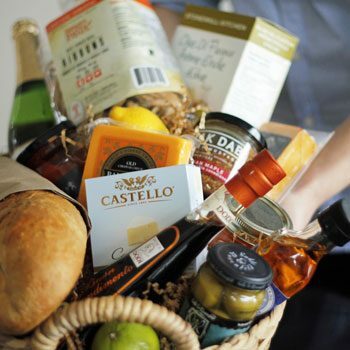 Try a Gourmet Gift Basket from Main Bread & Butter. With endless gourmet groceries to choose from, all wrapped up beautifully in a gift basket, these baskets are almost as much fun to give as they are to receive! Since each basket is made to order the options are endless! Fresh fruit, vegetables, meat, cheese and fresh-baked bread are all lovely additions to a basket. Just let us know if it’s okay to include perishables. We can also include the wine or spirit of your choice — simply drop off your bottle and we’ll be happy to include it in your basket at no extra charge. Ask us about delivering your basket within Steinbach and the surrounding area. This basket is a treat! 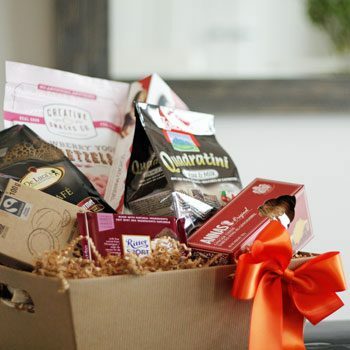 Fresh-roasted coffee beans or a selection of teas, along with sweets such as cookies, biscuits, and chocolates make this basket the ultimate treat to receive. This is one of our favourite baskets. It includes all the comforts of a family faspa: cheese, crackers, bread, jam, pickles, kubassa/dried sausage, and dessert. Perfect for sharing. This is the basket for the person who loves to cook, or the person who just loves to enjoy delicious gourmet foods. This basket includes foods that are ready to enjoy, the ingredients to make a delicious meal, or a bit of both. 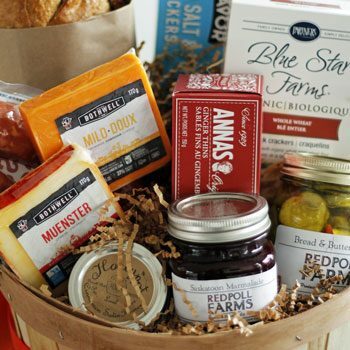 We have many popular locally-made gourmet foods that we love to include in this basket. The options are endless! 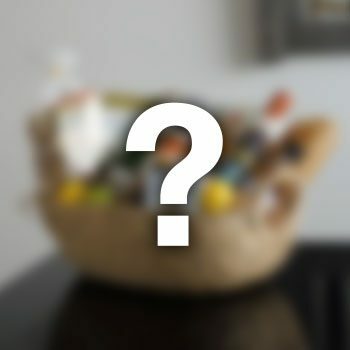 You can select the products or theme you would like for a basket and we’ll put it together for you.